Gordon’s has the experience and know how to make your family entertainment stage ROCK! He has been entertaining at festivals and fairs for over 20 years. 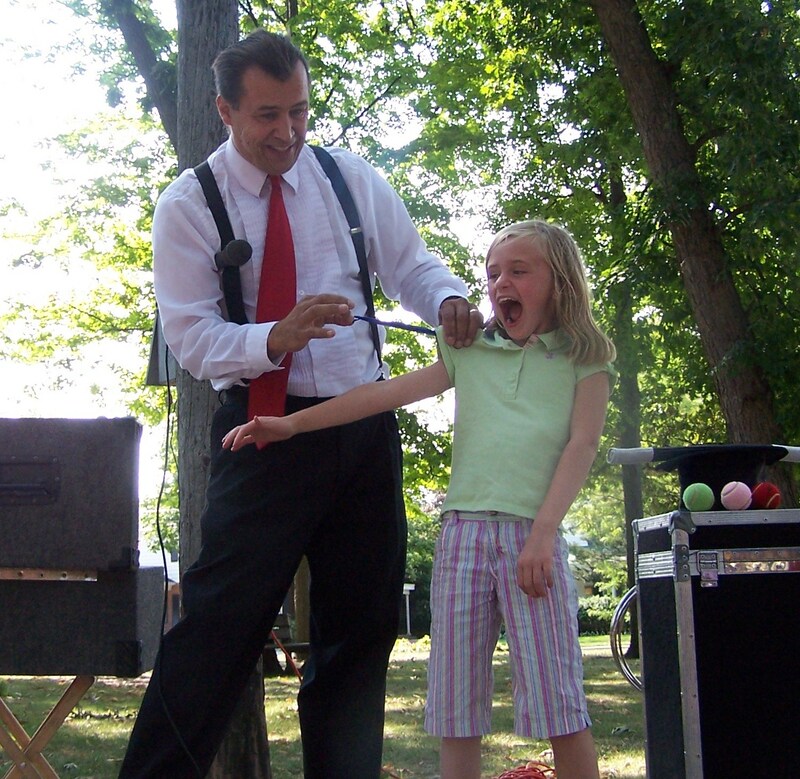 Not only does he have the ability to perform some cool magic, His shows entertains the audience. This show is an explosion of fun! The Magic Trunk of Gordon Russ is chock-full of tricks and bursting at the seams with incredible new illusions and ready to entertain! This 30 to 45 minute performance will have your audience, laughing, smiling as they are being fooled and entertained. Gordon’s show is loaded with fun mysteries, lots of music and plenty of belly laughs. This show is clean, up to date, and suitable for all audiences. The Comedy Magic Revue is equipped with a professional sound system, music, magical props and a wealth of experiences providing a fabulous entertainment for all ages. All you do is provide the audience. This entrainment is perfect for picnic areas and food courts. Gordon will stroll through the crowd performing miracles for small group. The magic happens up close and in the spectators hands, His has as much fun as the audience while he “works the crowd” with this intimate and memorable brand of magic. This type of performance is perfect for groups of 2 to 20 people. I really believe that a festival should get the most bang for their buck when they hold an event at their festival. Here are a few simple ideas that may help.